Black Assisted Opening Pocket Knife | BUDK.com - Knives & Swords At The Lowest Prices! 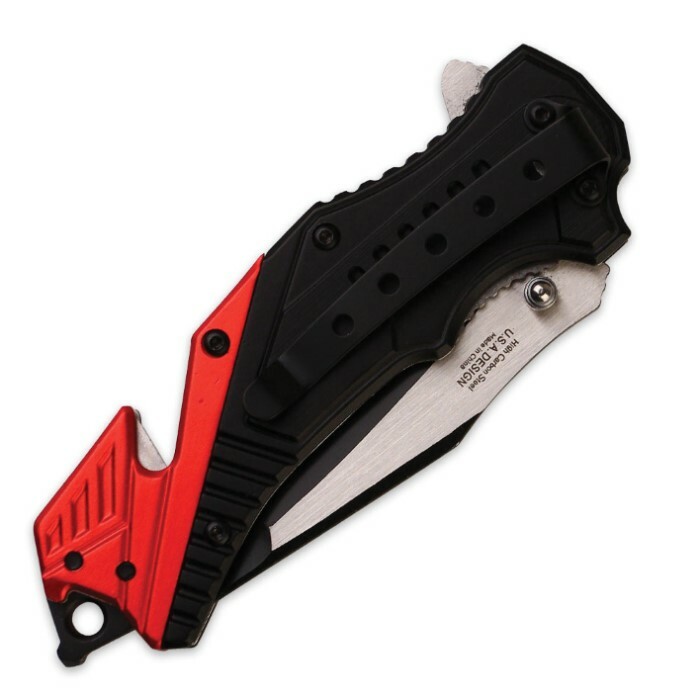 Honor your hometown heroes by carrying a knife that pays tribute to them or if you are a hometown hero, TAC-FORCE has crafted this assisted opening pocket knife with you in mind. It has a 3” black and silver stainless steel tanto blade and an aluminum handle with your choice of a Fire Fighter or Policeman medallion. It has a pocket clip, seat belt cutter and glass breaker. This pocket knife is 4 1/2” in overall length.